Schubert composed his first five symphonies while still a teenager, but they represent just one facet of his prodigious fluency. At this time some of his musical ideas bear a family resemblance to certain themes from Mozart, Haydn and Beethoven, but already his own musical character is evident. He began his Second Symphony in December 1814 and had finished it by 24th March the following year. He completed the Fourth Symphony in about three to four weeks during April 1816. We should not read too much into the Fourth Symphony’s “Tragic” appendage, added by Schubert as an afterthought. It may be merely an example of the flippant comments which he wrote on some of his youthful scores, but nevertheless the symphony has more gravitas than its predecessors. Schubert also includes a second pair of horns to enrich the texture. Actually, this is the only piece of non-programmatic music to which he gave a descriptive title. "A firm reading in the whole, and refined in the search for nuances. This is especially true for The Tragic: in the alternance between major and minor pitch, in the choice to use a wider orchestra"
"The gnashing character of the harmonies is uncompromisingly emphasized by the Dutch orchestra…"
With fluid, agile and vivid performances, Willem de Vriend and The Hague’s Residentie Orkest take a promising start into a new compete cycle of the Schubert symphonies. 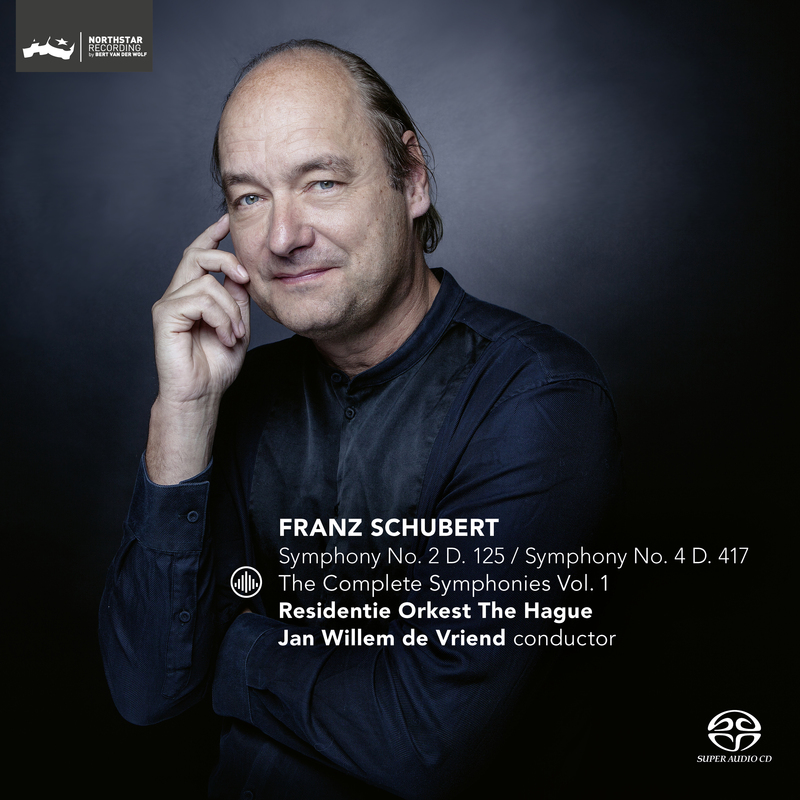 "New Classical: Symphonies by Schubert by the Residentie Orkest." I think that we have here a most promising start, doing not only justice to a composer that merits all our attention, but also satisfying all Schubert followers by putting together the various strands of vision in comprehensive settings. I’ll be looking forward to de Vriend’s account of the ‘Unfinished’ - “the sad music that makes one happy” - and ‘The Great’. But in the meantime it is a pleasure to congratulate all those participating in this first release for already lifting two of the 5 youth symphonies a cut above the rest.